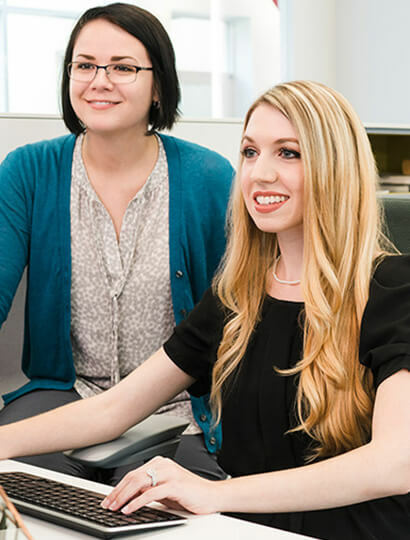 Our Services | G-TECH Services, Inc.
A leading women-owned, WBENC-certified recruitment and staffing firm, G-TECH specializes in delivering talent today for tomorrow’s technologies. We offer contingent staffing, project staffing, direct placement, and contingent-to-direct hire conversion. Our involvement doesn’t end with recruitment and onboarding. We support our employees throughout their assignments and stay connected with you to make sure that we are meeting your needs and expectations. The result of our hands-on approach? You receive better talent, and our team members are more satisfied, productive, and engaged in their roles. G-TECH’s contingent staffing solutions not only offer you flexibility in your workforce, but also give you the opportunity to work with technical talent on a contract basis before hiring them directly. Should you decide to directly hire a G-TECH contract employee, we are well-equipped to make that conversion with minimal inconvenience to your team. Having the right people on your team makes all the difference in creating a competitive advantage. We make it a priority to understand your industry, business goals, culture, and operations so that we can quickly respond to your needs and locate top talent with the specialized expertise you seek. Drawing on our deep talent network, we focus on finding professionals that will carry your organization forward and give you a leg up on the competition. As your direct placement partner, we promote your company as an employer of choice and make sure that our candidates clearly understand your expectations and are a good fit both technically and culturally. While you focus on achieving operational excellence, let us find the right talent to help you get there.